Stepping off the plane will be like stepping back in time. And we can’t be more excited. What’s lured this couple to Cuba is quite a contrast to what we and most Canadian snow birds have come to love about this island. Every year Cuba invites us to exchange our winter coats for warm white sandy beaches, clear turquoise water, all-inclusive resorts with all the mojitos you can drink. But this trip will be different. We’re trading the beach for a 5-day camera-clicking marathon in Havana. We’re off to discover everything that’s (tragically) beautiful about this city as a result of its 50-years of neglect. Withering facades of colonial buildings with colorful peeling walls, vintage cars that have outlived most humans and the city with so much charm – it’s everything we’re hoping to capture. And so we’ll make the pilgrimage in May, before prime real estate is turned over to the Marriotts and the Hiltons of the world. Before the future of Havana changes. 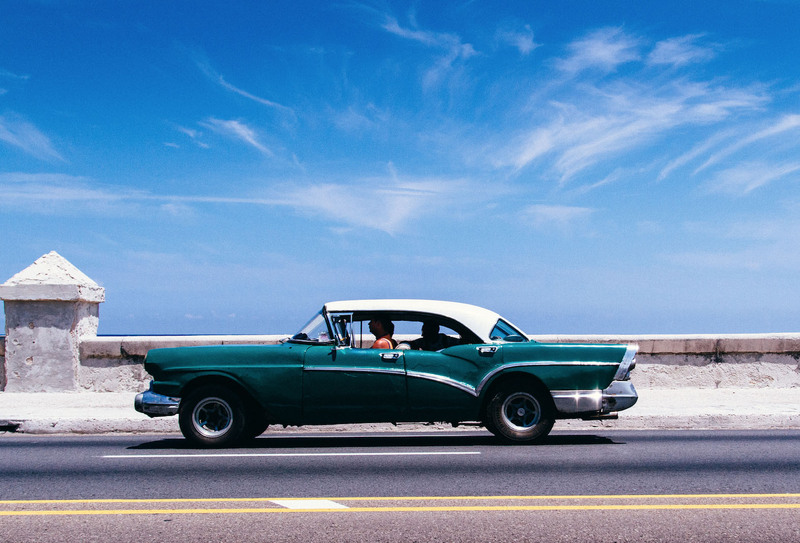 A visit to Havana will not be complete without taking a leisurely drive, like in a ’55 Buick convertible, or simply stroll along this most popular oceanfront promenade. Depending on where you are on this 7 km stretch, it may remind you of Ocean Drive in South Beach. Buildings of neoclassical and whimsical art nouveau architecture dot the esplanade in pastel colors that are quite beautiful despite the ongoing battle with the corrosive effects of the ocean. 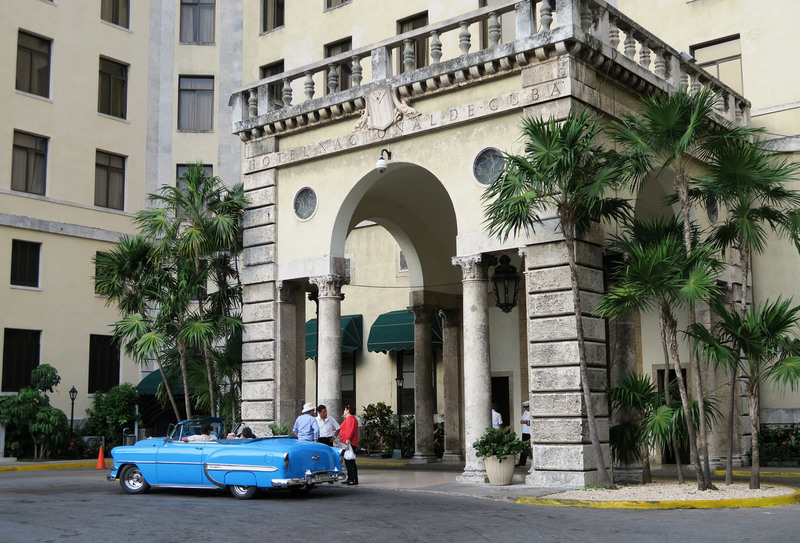 Considered a symbol of history, culture and Cuban identity, Hotel Nacional will definitely be on our shot list. With its privileged location in the middle of Vedado, the center of Havana, it stands on a hill just a few meters from the sea, and offers a great view of the Havana Harbor; the seawall and the city. Hotel Nacional was rockin’ at one time, attracting a large number of personalities like Winston Churchill, Frank Sinatra and Ava Gardner. 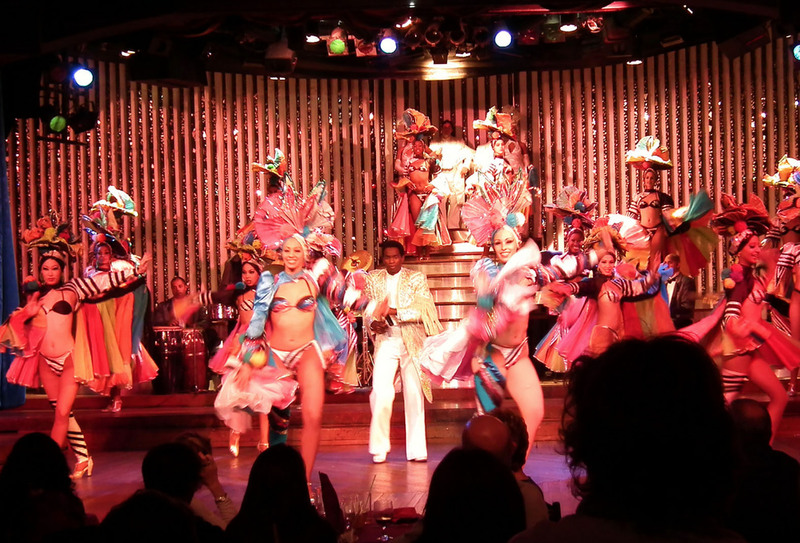 Iconic Cuban rhythms, mixed with rumba, mambo and Latin jazz. Exotic splendor, dazzling women, reputedly the most beautiful of Cuban ladies, the famous cabaret is an extravagant spectacle with a revue of glamour and nostalgia. Opened in 1939 the Tropicana, prior to the revolution, was a casino managed by gangsters as depicted in Francis Ford Coppola’s Godfather Part II. Set outdoors in a lush tropical setting, the cabaret is a spectacle that’s a can’t miss for this couple. 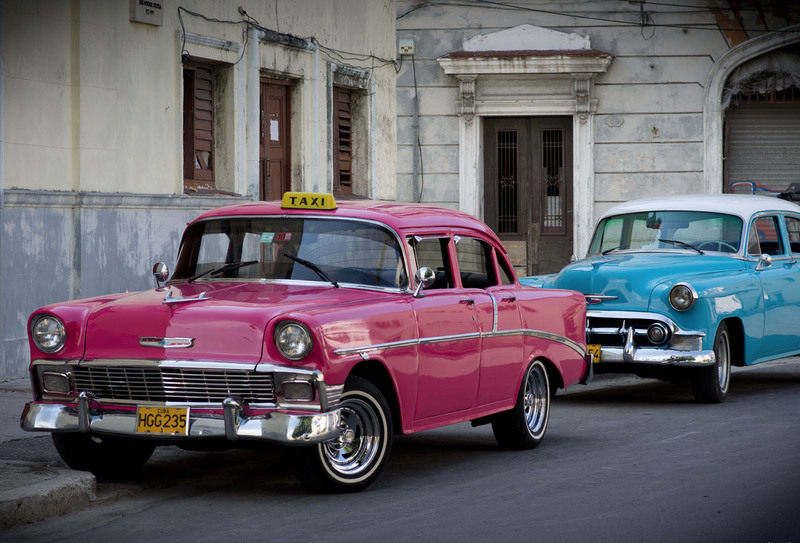 One of the single biggest symbols of Havana culture are the notorious collection of classic cars that roam the country’s roadways. Lovely restored antique cars including convertibles can be hired per hour or per kilometer. Taking a ride in a ’55 Buick convertible is not out of reach and anything that comes close to that will be a dream. To avoid any overcharging ‘incidents’ I’ve been cautioned to check the licence plates for the official blue or yellow licence plates, or to just ask drivers to see their licence before we take a ride. 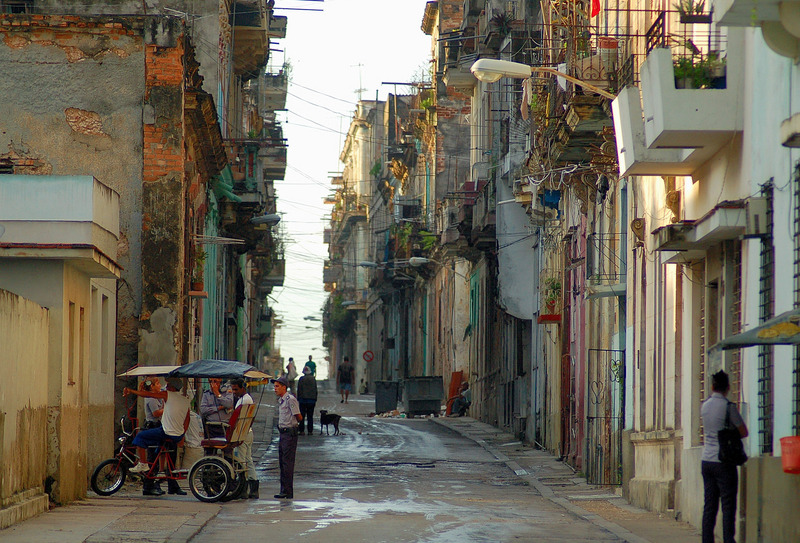 Tucked deeper inside the city lies the real working class neighborhood of Centro Havana. This is the heart of Cuba’s capital where a lot of the buildings are almost in a total state of collapse. A network of dusty streets walled with jaw-dropping buildings dressed with beautiful details: intricate ironwork, towering windows, open balconies, stained glass, worn paint. You get the picture, no shortage of photo ‘opps here. And what’s a trip to this part of town without tasting the flavours of a fresh Montecristos or Cohibas. We can actually tour one of Havana’s oldest cigar factories, Real Fábrica de Tabacos Partagás. We’re not exactly museum wanderers. 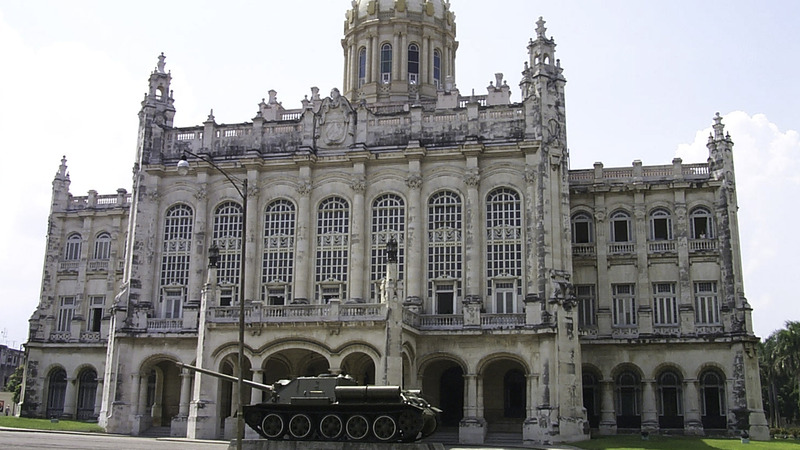 But, since we’re in the neighborhood of Centro Havana we’ll drop into this island’s most treasured museum which resides in the former Presidential Palace. The world-famous Tiffany’s of New York decorated the interior, and the shimmering Salón de los Espejos (Hall of Mirrors) was designed to resemble the eponymous room at the Palace of Versailles. The museum descends chronologically from the top floor starting with Cuba’s pre-Columbian culture and extending to the present-day. “Old Havana” has the most (like over 900) colonial buildings all of historical importance, and is known as the most popular tourist area because it has the greatest concentration of new hotels, restaurants, galleries, shops etc. Habana’s Vieja is famous for the Catedral de San Cristoal de la Habana at the Plaza de la Catedral, and for Hemingway’s bar, “La Bodeguita del Medio”, where we’ll enjoy a mojito (or two, or three). Because it’s there and we are there and they make the best Daiquiris. And if it was good enough for Ernst Hemingway, it’s good enough for this couple. The bar and restaurant became world-known thanks to author Ernest Hemingway, who was a regular costumer. 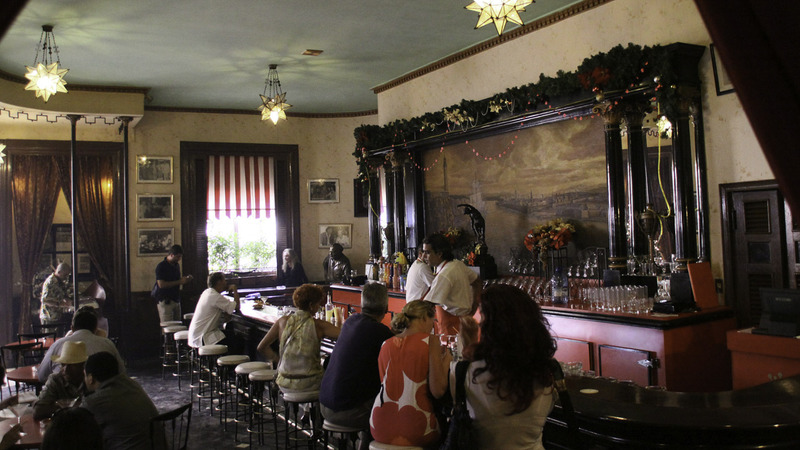 Located in Havana Vieja, this little bar will offer us a relaxing place to hang out, listen to some Cuban music and check all the Hemingway photos that adorn the walls and of course, a selfie or two with Papa’s life-size statue. 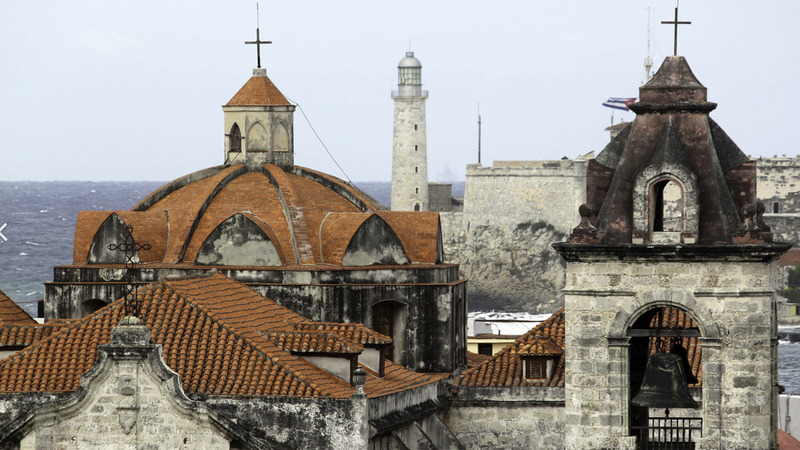 While Cuba has many lures, the quality and even availability of its accommodations are not among them. But big brand hotels plan on changing that. 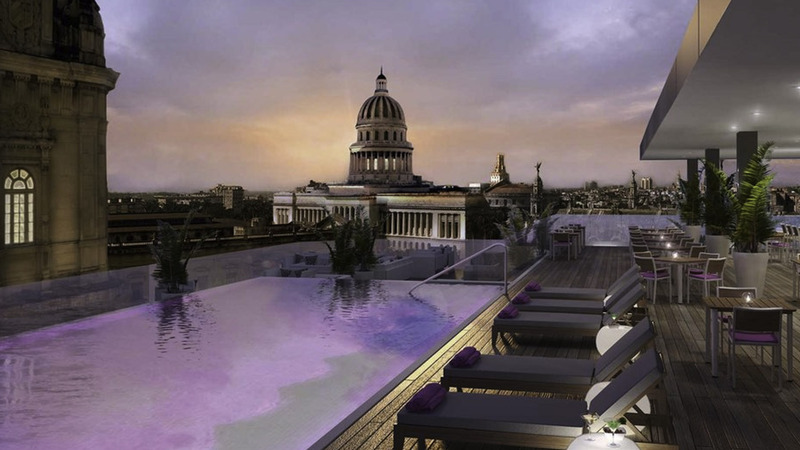 As of the time of my writing this post, Europe’s oldest luxury hotel group Kempinski Hotels plans to transform the historic Manzana de Gómez building into an ultra-modern, 246-room hotel, offering Havana its first five-star hotel. Have you been to Havana? If you have a suggestion for us please let us know in the comments section below. Watch for a post in late May that will showcase the photos from this trip. Better still, ‘Subscribe’ to our blog and you’ll get all our posts delivered to your desktop ‘as they happen’. In the meantime, have an amazing day.